The world’s first sensor-supported IP phone has arrived! With a built-in motion sensor, the new Snom D735 detects close-by hand movements to automatically display function key information. This opens up a huge amount of opportunity when used alongside the applications made by Snom io. 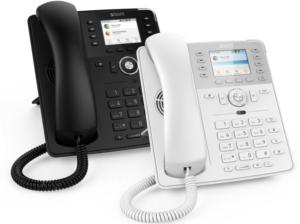 Joining the popular D7 range, the Snom D735 is supplied with an improved 3 year warranty. What’s more, if you register to become a Snom partner, you can access exclusive rebates on your Snom orders!